Sadly Nvidia didn’t announce the new GTX 1080 Ti in their CES press conference yesterday. But they also didn’t announce their new G-Sync HDR tech either, and yet here it is in two monitors from Asus and Acer. The new tech is still a while off yet, but until then these are our picks for the best gaming monitors around today. 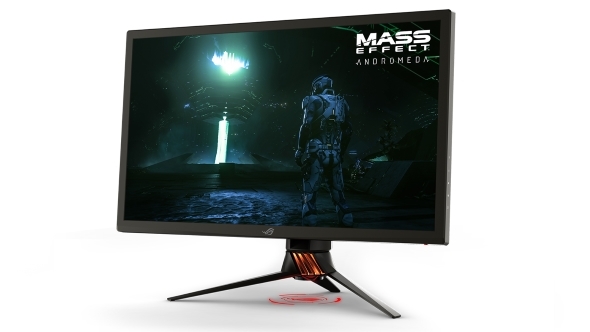 Earlier this week AMD announced their FreeSync 2 technology, along with Samsung’s screen manufacturing support, which eliminates the input lag from HDR gaming and Nvidia are now promising the same thing from their G-Sync HDR update. 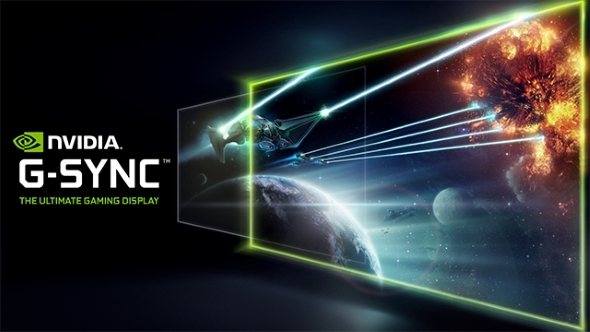 Nvidia have buddied up with AU Optronics to create the first 144Hz 4K gaming screen and the panel is going to get its first outing inside the Asus ROG PG27UQ and the Acer Predator XB272-HDR. AU Optronics already make the panels in our favourite gaming screens from Asus and Acer, so I’m incredibly excited to see their latest display. Both the new monitors go on sale in Q2 this year, so I wouldn’t expect to see these lovely screens until April at least. But by then Mass Effect: Andromeda will be out with high dynamic range support using the HDR10 standard. This slidey comparison screenshot gives you some idea what it will bring to gaming. As a miserable sort I have to say I kinda prefer the gloomier SDR take on the futuristic setting, but that might just be me. 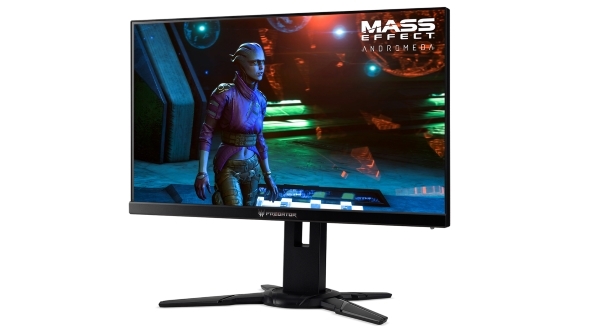 As well as using a 27-inch AU Optronics AH-IPS panel, with a 3840 x 2160 native resolution and the ability to run at 144Hz, the new G-Sync HDR screens also have a 384-zone backlighting system and a Quantum Dot filter to enhance the colour palette of the monitor. By giving the monitor such fine grain control over the panel’s backlighting the 384 individual lighting zones will enable the screen to have super bright colours and inky blacks sitting side-by-side. It’s that level of contrast which is needed to give HDR content its signature image quality. The Quantum Dot filter AU Optronics have used also expands the breadth of colours available to the monitor too; another boon for HDR gaming. But to get the most out of HDR it’s important to have a display which is capable of retina-searing levels of brightness. Thankfully the new panel looks to have that too, with the ability to hit 1,000 nits of peak luminance. For reference, most gaming monitors peak at either 300 or 350 nits right now. …but it’s also expensive. The Asus’ ROG PG27UQ is reportedly going to be around $1,200 when it launches in a few months and the Acer is probably not going to be far behind that.